Saturday I attended the a swap meet/gathering that was held at Arenan in Skövde. 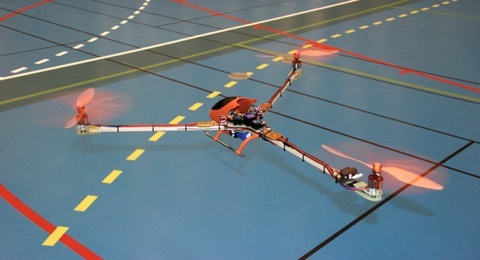 This year I brought something to fly, my newly built Tricopter. The moment I unpacked the Tricopter people started to come to chat. I had posted the build on some swedish RC forums and a lot of people had seen the build thread and wanted to see it fly. I met a lot of great people that I only had a screen name of before. I talked nonstop with different people the whole day and I had so much fun. The Tricopter was in the air for over an hour! One battery last for about 16 minutes of mild flying. Me and a couple of other FPV pilots had also arranged to meet and take a coffee together. We swapped stories and experiences and deiced to have a FPV meeting later this year. It will be awesome to try out some FPV formation flying. This years Arenan was much better organized then the last one. There was always something flying in the air. There were a couple of demos of helicopters, cars and even a quadcopter. I heard afterwards that there had been over 1000 paying visitors, which is a lot here in Sweden. I just had to buy it! 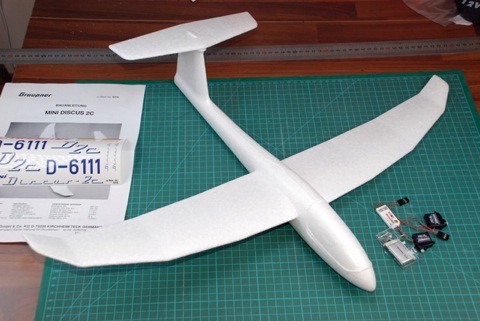 I also bought a couple of servos, battery and a receiver so that I can make this a non powered slope soaring glider. I hope next year’s meeting will be as good as this years.